Morningside and Eveningside Bible Studies are for all women. They take place on Friday mornings and Wednesday evenings respectively. They run for the school year, mid-September through beginning of June. This runs Friday mornings, 9:15-11am. Each term we start a new study series. Registration, books or prayer journals are usually available for purchase at the Connect Point. Please contact susanrobertson@greanvillechapel.com for more information. 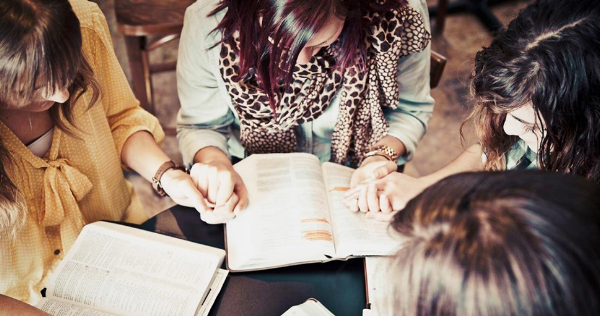 Our weekly women's Bible Study is on Wednesdays, from 7-9 PM. We use DVD studies and books throughout the year. Books will be for sale at the study. Location: @The Lims. All welcome! During July and August, we do not have a Women's Bible Study running. Please check back in mid-August for information about our 2019 Fall studies!